We are now offering online orders. At this time, we are only doing orders to be picked up in the student store. We are not able to mail items unless you make arrangements with Mrs. Kim Kennedy, Student Store Manager, before purchasing. 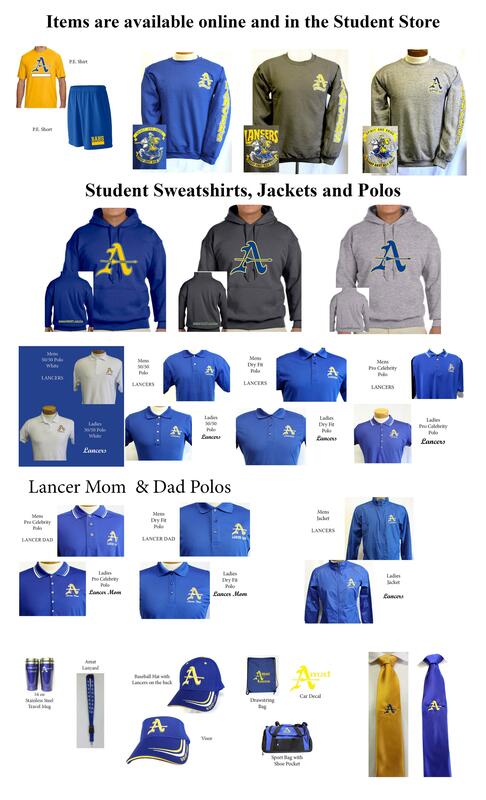 She can be contacted at 626-962-2495 Extension 7419 or studentstore@bishopamat.org Once you place your order, you will be contacted within 2 business days to let you know when your order will be ready for pick-up.